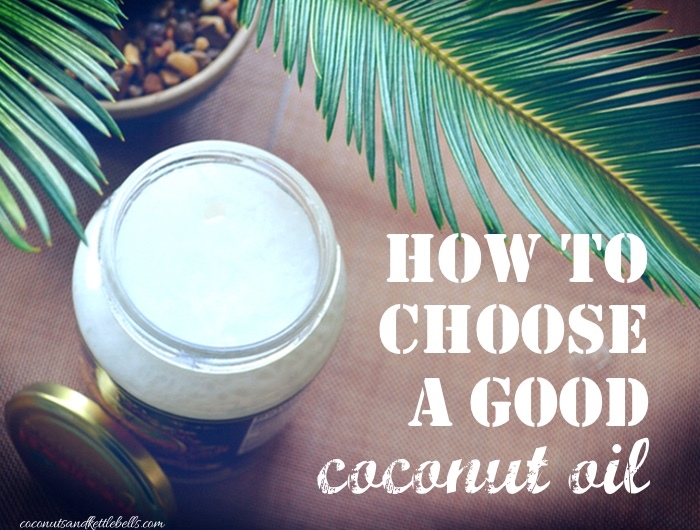 Looking to figure out how to choose a good coconut oil? You’re not alone. While previously vilified in society thanks to policy dictated by politics, profitability, and horribly misleading science, natural saturated fats like coconut oil are making a serious come-back as their many health benefits are coming to light. While most varieties of coconut oil on the market today still contain nourishing properties, knowing how to choose a good coconut oil takes a bit of skill. The good news is – it’s not that complicated, and you’ll be a certified coconut pro (yes, officially) in no time. Coconut oil usually falls under one of two categories – refined or unrefined. As with most food products on the market, not all refined or unrefined coconut oil brands are processed the same, so making yourself familiar with what you’ll see on the label will help you decipher between the good, the bad, and the not-so-lovely. Most refined coconut oil on the market today is made from previously dried coconut meat called copra. The way the copra is dried is not sanitary, so the oil extracted from the copra must be purified (refined.) Once the impurities are removed, the oil is bleached and deodorized in order to increase palatability. Sodium hydroxide can be added to increase shelf-life, and chemical solvents are typically used to get every last drop of the coconut oil from the copra. Sometimes, refined coconut oil is also hydrogenated or partially hydrogenated which adds trans fatty acids to the oil (BIG, fat no-no.) This is rare in the US market, and is typically found in tropical climates where ambient temperatures are above coconut oil’s melting point of 76 degrees Fahrenheit. There are some brands that refine coconut oil using mechanical or physical extraction methods (designated “expeller-pressed” or “pure”) which are not treated with chemical solvents. As a result, these refined coconut oils are a suitable option for consumption. While this extraction method isn’t as popular, there are some reputable brands like Tropical Traditions that produce quality refined coconut oil. Because all of the impurities are removed, mechanically-extracted refined coconut oil typically has a higher smoke point in comparison to unrefined coconut oil. It’s also typically cheaper in price, and doesn’t have a coconut-y flavor, making it a great option for those on a tight budget or who don’t like the flavor of coconut. Unrefined coconut oil is extracted from fresh coconut meat (also known as non-copra), and is not refined, bleached, deodorized, or exposed to any kind of chemical solvents. To extract the oil, unrefined coconut oil goes through one of two processes: wet milling or quick drying. Quick drying is just as it sounds – the coconut meat is quickly dried and the coconut oil is immediately pressed out. This is the most common method of unrefined processing as it is better for mass production. In wet milling, coconut milk is extracted from fresh meat, and the coconut oil is separated through methods like fermentation, boiling or refrigeration. Coconut oils that are unrefined are typically designated by the terms “virgin,” “cold pressed,” “raw,” or “extra virgin.” You may be wondering what the heck the difference is between all of these labels. In short, diddly-squat. There is no industry standard that regulates the use of these terms like there is for the olive oil industry. Tropical Traditions was the first company to publish standards for the use of the term “virgin” 13 years ago when it was one of the only brands available in the US market. Since then, many other companies have created terms like “extra virgin” and “raw.” Generally, when you see any of these terms, you’ll also see phrases like “no refining, deodorizing or bleaching,” which will let you know it’s unrefined coconut oil. While most manufacturers will tell you their own extraction methods as superior – in my research, wet milling seems to produce the highest quality coconut oil with the most nutrient-density. This does not make other methods “bad” or unacceptable, and generally all refined and unrefined coconut oils are a stable cooking source that contain beneficial medium-chain fatty acids. Liquid coconut oil, which is also marketed as “fractionated” coconut oil or MCT oil is manufactured by fractionating coconut oil and removing some of the medium-chain fatty acids. Lauric acid, coconut oil’s most dominant and valuable fatty acid (thanks to it’s unique antimicrobial properties) is removed because of its higher melting point. What’s left is a combination of two other medium-chain fatty acids with lower melting points. Because this product is missing the most valuable feature of coconut oil, it’s best to avoid cooking with any products marketed as “liquid” coconut oil. I highly recommend sticking real, whole coconut oil when putting it to one of its many uses in your home. Once you’ve chosen the type of coconut oil that works best for you and your needs, the next step knowing how to choose a good coconut oil is finding the right brand. 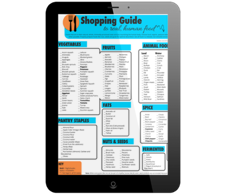 There are many high-quality brands that currently exist on the market – finding them takes just a bit of Google research prior to making a purchase. If you’re intimidated by some of the marketing mumbo-jumbo you’ll find on labels, I encourage you to visit the company’s website and figure out which method of extraction they use. Most coconut oil brands will have detailed information about their history, who they are, and the processes involved in their production. If they don’t, especially in the case of refined coconut oil, assume the worst and move on to the next brand. As a general rule of thumb – certified organic means that pesticides and fertilizers were not used on the coconut palms that produced the coconut oil. While certified organic is generally a good thing, it’s important to remember that the USDA certified organic label is extremely costly – especially for smaller businesses. Some companies offer non-certified pure coconut oil that is still produced without pesticides or fertilizers to keep prices low. After doing some research, I’ve personally chosen to purchase from Nutiva, Tropical Traditions, and Artisana. While there are many other great brands to choose from, I enjoy the taste of these brands, and I trust how they source and process their coconut oil. I also appreciate the cost savings when purchasing in bulk because I tend to use A LOT of it. Unrefined (or “virgin”) coconut oil, which can also be designated as “extra virgin”, “raw” or “cold-pressed” will pack a powerful punch of MCTs, nutrients and antioxidants, giving you the biggest bang for your spoonful. I highly recommend this kind as the best option, especially for those using coconut oil to help remedy skin issues or for antimicrobial uses in the gut. Refined coconut oil should be mechanically or physically extracted, and will typically have the designation “expeller pressed” or “pure.” Avoid any and all refined coconut oils that are hydrogenated or partially hydrogenated, or use harsh chemical solvents or additives. This is a good option for those who dislike the flavor of coconut or are on a limited budget. When possible, buy certified organic – especially if you’re already dealing with liver problems, immune dysregulation, or other issues that involve the build up of toxins in the body. For household uses, especially cooking, avoid anything marketed as “liquid coconut oil” and stick with the real, complete coconut goodness that contains lauric acid. I am happy to announce, this officially makes you a certified coconut pro! Congratulations on today’s accomplishment. We need more people like you in our society today. 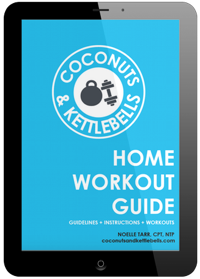 Questions about how to choose a good coconut oil? Let me know below! MCT does not have monounsaturates nor polyunsaturates. There is no international standard for virgin coconut oil. I know APCC has one but it is not recognized (unfortunately) worldwide. As far as I remember, I wrote the first definition/terminology for virgin coconut oil. It was submitted early in 2000 (a group ran by a company that you mentioned). We or I in particular started the concept of virgin coconut oil; introduced the first virgin coconut oil on the market in 1998; that was virgin oil de coco-crème(R). Thank you for the help. What is the difference between wet mill fermented and cold pressed virgin coconut oil? “The wet-milling fermentation method grates the fresh coconut, expresses the coconut milk, and then separates the oil overnight by allowing the heavier water to fall to the bottom of the container, while the lighter, crystal clear oil, remains on top. Coconut “curds” also form from coconut solids. Noelle, as of fermentation process, you have to use a fermentation aid and additional steps to do the process, to avoid oxidation and off course to stop fermentation after. There are quite a few choices actually. I believe they made it simple and I understand why they did not include it in the summary of the process. Sometimes, simplicity is better. Carrie, in the strict sense of oil processing they can not be compared, WHY? Cold-pressing is not actually a complete process and therefore not a type of process. It simply indicates that there is no high heat used during the extraction process. So wether it is wet process, dry process, or combination of, the term cold-pressed is applicable if it does not use high temperature. It is a term developed by seed oil industry since wet-process is not applicable to them. The word became a marketing term which is sad. And further unfortunate, even sophisticated centrifuge technology will use the term “cold-pressed” since that is what the people know (or marketers know). To summarize: there are three major steps in oil processing and pressing/expression is only one of them. So if it is cold-pressed, it does not tell you if the heat is applied before pressing and after pressing. AND yes, purification stage comes next after pressing stage since after pressing the oil is not 100% oil yet. Bottom line: you need to know more than cold-pressing. Is it cold-press dry process? is it cold-press-wet process? What was the process before pressing, what was the process after pressing? I tried to summarize this as much as possible but I hope it answer your question. Hello,wet-milling fermentation other then tropical tradition what other company (brand) does the same process? Hi Liz! Not many use this method. But, it doesn’t mean that other processes don’t produce high-quality coconut oil. One other than Tropical Traditions, I’ve found Wilderness Family Naturals’ Centrifuged Virgin Coconut Oil does advertise that it uses wet-milling fermentation. Hope that helps! Thank you for your wonderful research. I’m wondering, however, would your personal choices be different if you were not receiving payment from the companies from which you chose to purchase. Hi Kameron! Such a good question! I actually don’t get paid from any company to recommend any brand. I’m flattered that you’d think so, though! 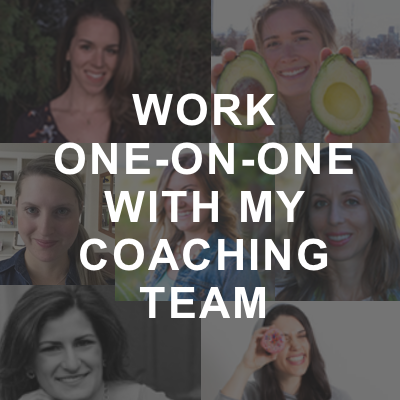 🙂 I just have a passion for coconut oil (and how it is sourced), and in my research, I found brands I trusted based on their processes, how they treat the people who harvest the product (VERY important to me! ), and the people who work for the company. Anything linked above are the brands I use in my own home. If you choose to purchase through some of the links above (which, you absolutely don’t have to! ), I sometimes make a small commission because I have a basic affiliate account with Amazon.com. I’ve stopped using Nutiva recently because I like to get them in gallon sizes because it saves me a ton of money – so right now I’m just going with Tropical Traditions. Hope that helps! Great research, thanks Noelle !! Question for ya… I apply some coconut oil to my hair and scalp every night before I go to sleep, so a jar always stays in my shower. I’ve found that after a few weeks the coconut oil begins to sour almost. It loses its sweet smell and instead smells kind of burnt (looks fine tho). Do you have any idea what this is and why it happens? My guess is that I continually alter the oil between liquid and solid from the steam of the shower, and this affects the quality of the oil over time. But that’s just a guess, let me know! Hi Erin! Very interesting! My guess is it is reacting that way because it is exposed to water. The constant exposure to heat may make it go rancid, but I doubt that because the heat from the shower is far too low to cause that. I would keep the jar of coconut oil out of the shower, and access it from a shelf or counter with a spoon. Wet mill fermentation heated virgin coconut oil is the best!!! I would have been using coconut oil a long time ago in all my cooking for all my family members and in my cosmetics if I had known the benefits. Glad I do now, and I am so glad to see these great blogs on the web such as this one. Thank you so much for your research its awesome. I currently use the Artisana brand and I love it! My question is this. Do I have to heat the oil before I put it on my hair? if yes how do I heat? Because normally I just put a little in my hand and just massage it into my hair. I sometimes leave it in for a few hours or overnight and then wash. I just don’t know if its beneficial to heat before use or it doesn’t really matter? Heating it beforehand simply makes it more viscous – you actually don’t HAVE to, unless it’s so hard that you can’t actually use it. When using it for skin care, I warm it up in my hands. When using it in recipes – I warm it up for a few seconds over the stove or in the microwave (stirring every few seconds!) Hope that helps! I would be interested about your thoughts of the preferred EVCO capsules for supplements. What I do is blend the coconut, when its thoroughly blended I separate the liquid fron the shaft then proceed to boil the liquid until the water is completely dried and all that remains is the brown oil. What would you call this type of processing and do you think its good for consumption? Hi Marietta! I would not recommend consuming this. It’s best to purchase coconut oil that has been processed through a safe and sanitized method. Hope that helps! Right—this is done in a kitchen and not done in a large facility, which I think is obvious. 🙂 My reference to refined coconut oil was to equate it to one of the few extraction methods. It’s a high heat removal, without the “purification” process afterwards and it remains brown. Regardless, I do not feel comfortable recommending this oil for cooking or consumption. Nature provided us with whole Coconuts, and we should think about how hard it is to extract only the oil in coconuts, as well as with other vegetable oils, I believe there is a reason why these oils are not readily available in nature. Ideally we eat the whole coconut (the water, and meat which contains the oil), this will have a better balance in our diet because we would consume less, and get the full nutritional value of that food (fiber, vitamins, minerals, and the fat). As mentioned in the book “Staying healthy with Nutrition” by Elson M. Hass, One of the most natural concepts of eating is that of consuming locally grown and seasonally appropriate fresh foods. 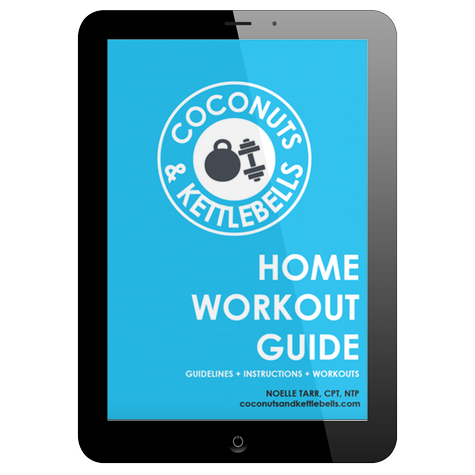 I invite everyone who reads this blog, to think a little bit more before deciding how much coconut oil you are going to consume. A few experts in the field recommend two teaspoons a day as an amount that is usable by the body. Anything more than that is just extra calories, and fat that the body has to process. I am currently looking for a new coconut oil supplier. They don’t offer many known brands in my country and if the do, they are too expensive. A couple of people produce it here and have small companies that sell it. I am looking into one right now. I asked how they extract the oil and her explanation was “We extract oil how it was done over 100 years ago in Costa Rica. My family has always done it this way, all done by hand by grating the coconut and then cooking it to extract the oil”. That’s all they said, not much more to it. Is this ok? Hi Maria! I’m not sure what their process is specifically, so I can’t comment on that. But, if it’s local—and it’s available and affordable, then I would use it! Hope that helps! Hi Noelle, thanks. I like your article. How about grated coconut kernel, sun dried quickly for around 3hrs. It is then cold-pressed manually via mechanical means. The oil looks colourless and crystal clear. Is it good to consume and used on skin? Does the quick drying destroy some nutrients? Hi Anne! Unfortunately, I’m not an expert in all the varieties of coconut oil production and haven’t seen this done personally. As stated in this article, most all coconut oil is beneficial and has beneficial properties. If that’s a coconut oil that is available to you and is sanitary and says it’s fit for human consumption, then I would use it. Hope that helps! I am thinking of producing unrefined organic coconut oil here in Kenya on the East coast of Africa. Millions of coconuts l go unused and unharvested along the coast and these gems are surrounded by 100,s of villagers needing work. One of the concerns is marketing and where and to whom in the states might we sell our products, preferably in bulk. Thanks for any feedback. Tom, LOVE your idea! Unfortunately, I do not know the contacts you would need as I am not a producer. I recommend reaching out to tropicaltraditions.com. The owners would definitely be able to help you. Hi was wondering if you could advise me , I have started taking raw wet milled milled coconut oil but I don’t like the taste , can you tell me is it possible to get the same benefits of this excellent product in tablet form without losing any of the benefits ? Hi Eva! I’d recommend using a different coconut oil. Refined coconut oil doesn’t have a coconut-y taste. Hope that helps! What do you think of the brand coco natura? Says it’s unrefined, chemical free, unhydrogenated & cold pressed. Is this good for skin problems? 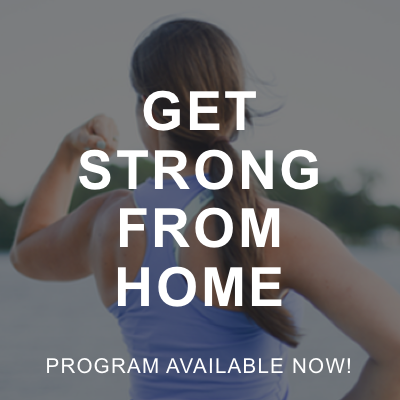 To take internally & use externally? Unrefined coconut oil is a great option. 🙂 I don’t have any experience with that brand personally, but if it’s what is available to you and it says unrefined and cold press, I’d give it a try! I have a question about the Tropical Tradition’s gold label coconut oil. I am making several skin care products for Christmas gifts and wanted to know if it would work in a lip balm/gloss that will be going into rollerball bottles? Will it stay melted or will it solidify again after melting? Hi Vikki! You’ll need to add other ingredients to it for it to remain solid. I recommend shea butter and/or beeswax. There are plenty of natural lip balm recipes that will show you how to do this! 🙂 Good luck! Hey Noelle! Thank you for your reply to my question about the lip balm/gloss that I am making for Christmas gifts. I think you misunderstood my question, though. I am wanting to keep the coconut oil in liquid form. So my question was regarding the gold label coconut oil by tropical traditions. I know it comes in solid form and wanted to know once melted and becomes a liquid, will it stay liquid or does it solidify again? Hi Vikki! Coconut oil is solid at room temperature. So, it’s melting point is about 77 degrees F. If it’s in a room that’s cooler than that, it will be solid. Does that answer your question? Just wanted your opinion on what you’d think of this Coconut oil. Thanks for this article. I need your help in finding a suitable coconut oil avilable in Italy. I tried but couldn’t found a suitable. 1: which kind of oil will be best for me? is it Wet mill fermentation heated virgin coconut oil? or any other? 2: Any brand that can be found in Italy? Hi there! I recommend going with an organic, unrefined coconut oil. Good luck! And what is “Gold Label Virgin Coconut Oil” available at “tropicaltraditions”? they claim “Wet-milled Traditionally Made Coconut Oil with heat”. Please click the link to Tropical Traditions (hyperlinked all throughout the article) to be taken to the page where this is. Please,can i get the tips on how to make coconut oil in a solid form? Coconut oil is solid at temperatures below 77 degree F.
This arruckwe wAS informative but did not really answer my question. 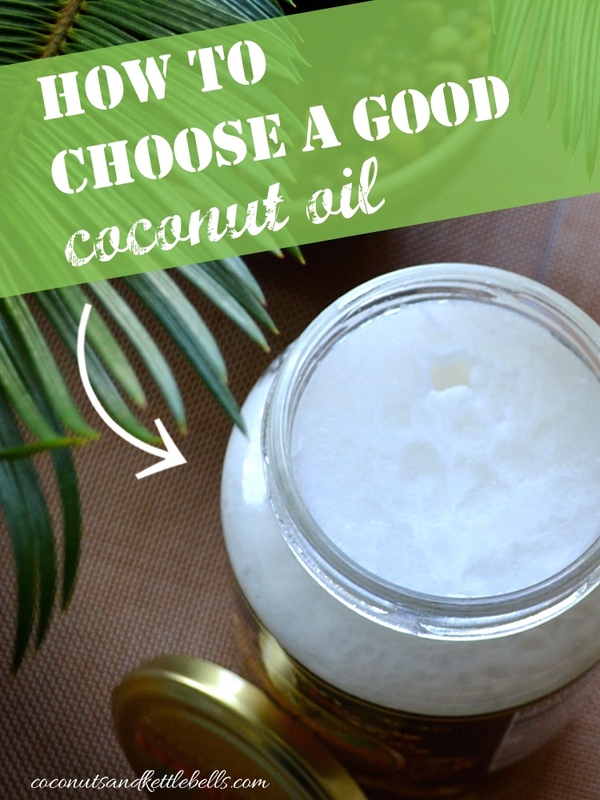 which organic unrefined coconut oil used for oil pulling is best :solid or liquid? Coconut oil that is solid or liquid is the same. Coconut oil’s melting point is 77 degree F. So, whether it is liquid or solid really just has to do with the temperature. Is it possible to start a cosmetic line based on wet milled virgin coconut oil, more precisely the cold pressed process, or is it just for domestic use? What process would you recommend for a cosmetic business based on coconut oil? 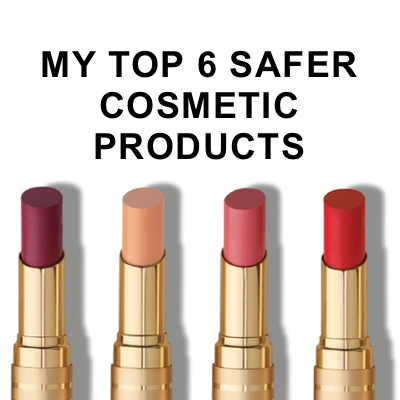 I don’t personally have any recommendations as I know virtually nothing about the requirements for cosmetic products. I will note that coconut oil is pretty much that same no matter how it’s made in terms of texture and substance. Does anyone have any comments on KTC brand “100% pure coconut oil, premium quality”, made and sold in UK. (It’s obviously refined etc.)? KTC say they were one of the first companies to stop having trans fats in their products, which sounds positive. Also I notice a funny thing when re-solidifying it – there are just about discernable (on breaking up) two equal layers only weakly joined together. I wonder whether these represent fractionating into different sorts of MCTs and if so what.